Why should one learn more about Egypt? Egypt is the most populous nation in the Middle East, and from 1981 to 2011, had one of the more politically stable, though autocratic, regimes under the rule of Hosni Mubarak. Egypt has since grown more unstable with the 2011 popular revolution which overthrew Mubarak, and the 2013 military overthrow of the nation’s first democratically elected President, Mohamed Morsi. Until 2011, Egypt was considered a key force for regional stability (though not democracy) in the volatile Middle East, but events since deepen concern about spiraling violence and extremism. 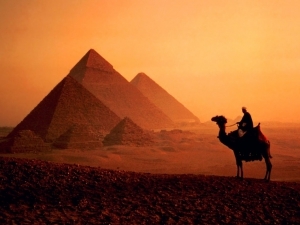 The following quiz tests your knowledge of some basic facts about Egypt.